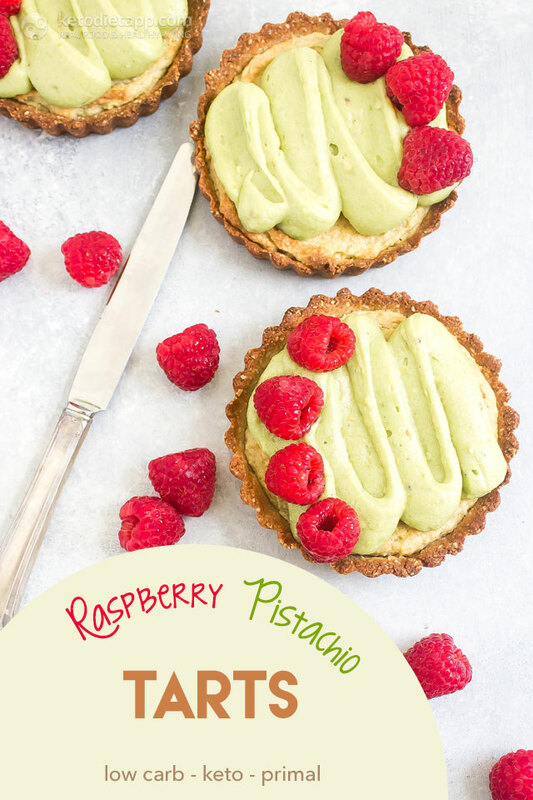 These Raspberry Pistachio Tarts are the perfect dessert for Spring. Between brunches, Easter, and Mother’s Day you’ll have plenty of time to show off this gorgeous dessert! While they may look complicated I promise that they’re a breeze to whip up! First you’ll begin by making the crust. 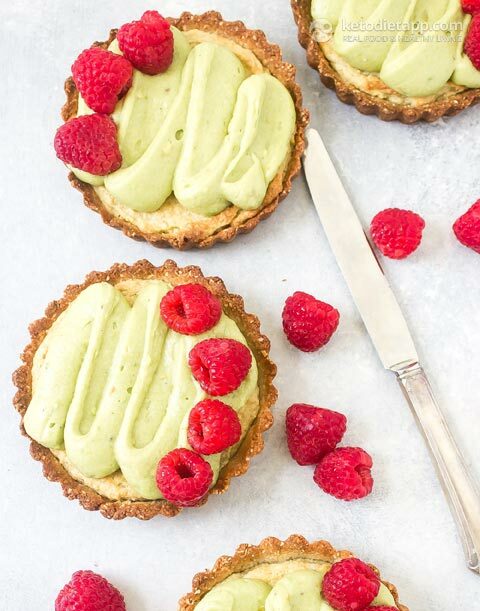 After that you’ll make a simple almond pistachio cake batter and pour that into the tarts and bake until set. 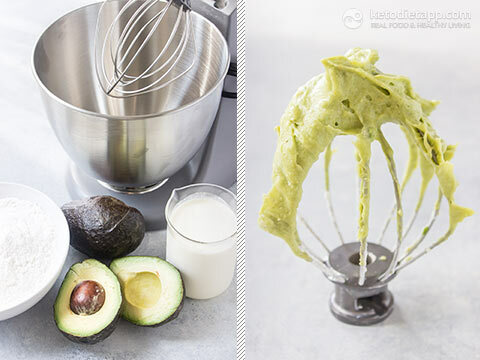 Once that’s all said and done you’ll whip up an avocado pistachio frosting to top it all off. A few fresh raspberries added to the top makes for a fresh and bright addition as well as a pop of color. Recipe adapted from Jo The Tart Queen. 2 tbsp pistachio paste/ butter (44 g/ 1.6 oz) - you can make your own by blending unsalted pistachios with water until a paste forms. If using store-bought make sure there is no sugar added. Make the crust according to its directions here except use four 4.75” (12 cm) mini tart pans. Preheat the oven to 160 °C/ 325 °F. 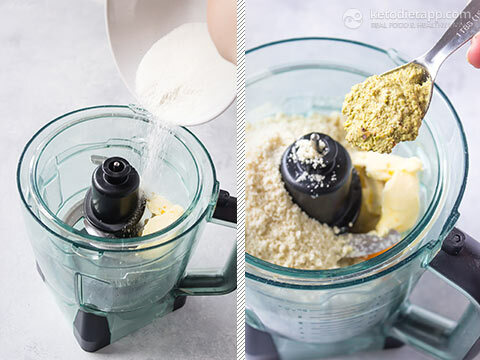 Make the cake by processing all of the cake ingredients in a food processor until combined. 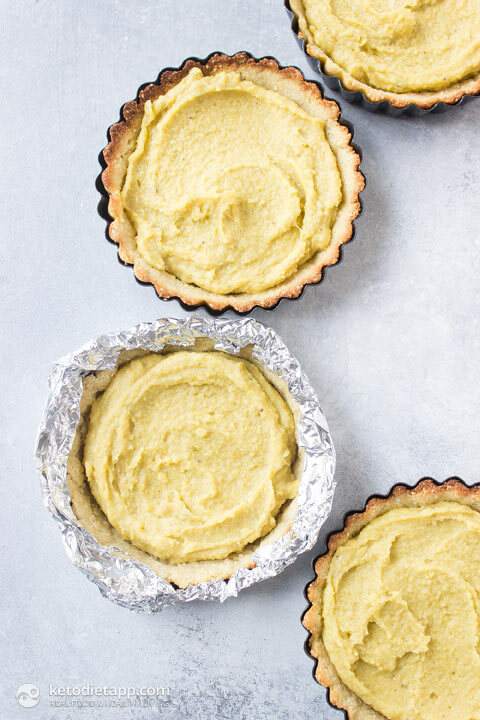 Fill the tart pans with the batter. Using foil cover the edges of the tarts so they won’t burn. Bake the tarts for 30 minutes until the cake is set. Remove from the oven and allow to cool on a wire rack. Remove the tarts from the pans before frosting. 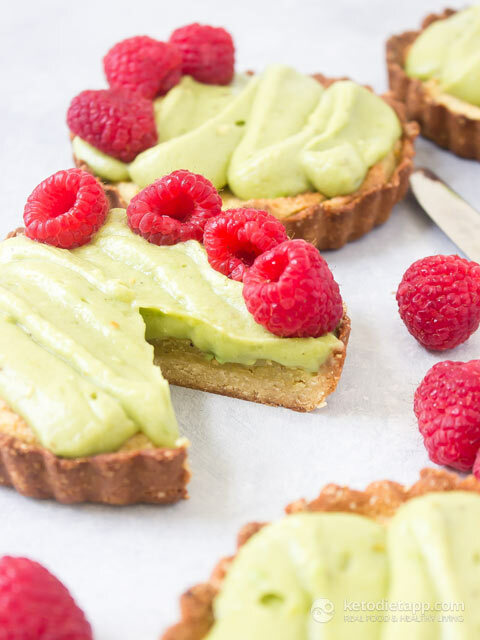 While the tarts are baking make the frosting by beating the avocado, powdered sweetener and heavy cream in a stand mixer fitted with the whisk attachment on high for 3-4 minutes. The frosting should be stiff and easily pipeable. Transfer the frosting to a piping bag or a plastic baggie and snip of the corner. Pipe the frosting onto the tarts then top with fresh raspberries. 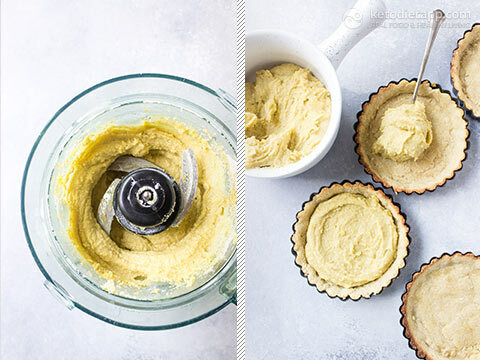 Note: To prevent the avocado from browning, add some lemon or lime juice to the frosting, and keep in an airtight container in the fridge for up to 4 days. I haven't tried freezing these but I assume you could do that. My only worry would be the filling. 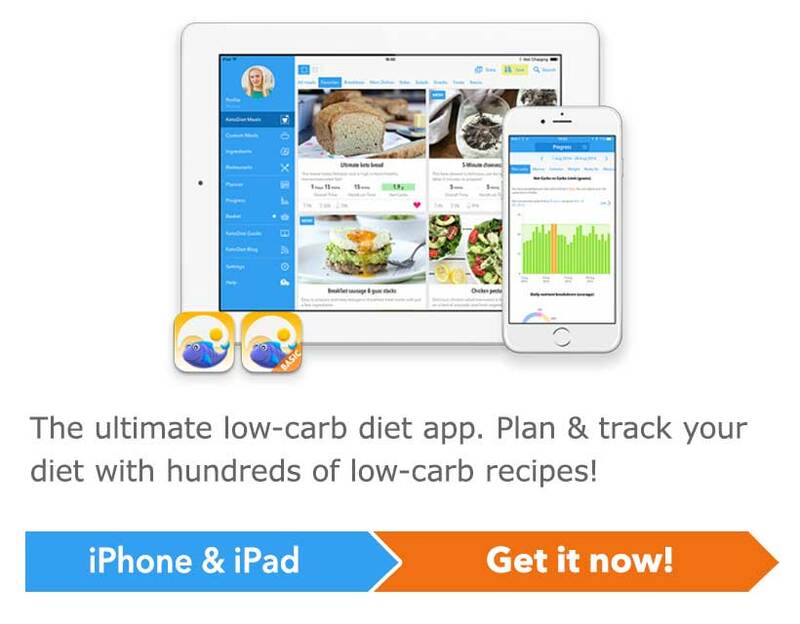 I'd just bake the tart crusts and freeze them. Then I'd make as much filling as needed to fill as many tarts as I plan to have/serve in the next 3-4 days. I hope this helps! Om my god! These look amazing! 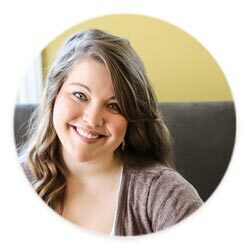 I can't wait to make them this Sunday!